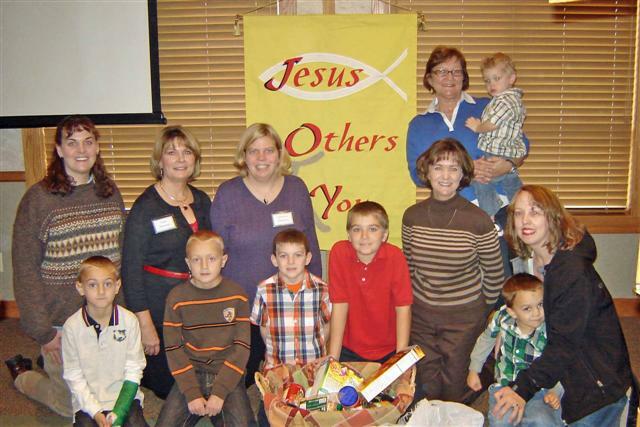 Our Sunday School Students Kick Off AJ's Food Shelf Drive! Abounding Joy began its first Sunday school classes Sunday September 18, 2011. We are very excited about this wonderful opportunity for the children of Abounding Joy to learn about God's Word. The program is offered for children ages 3-6 grade. The curriculum used for the program comes from SOLA Publishing and is entitled, "Sunday Schoolhouse". More information about this curriculum can be found at www.solapublishing.org. If you would like to learn more about Abounding Joy's Sunday school program for your child, or would like to be a part of this ministry, please contact us at 320-217-8784.